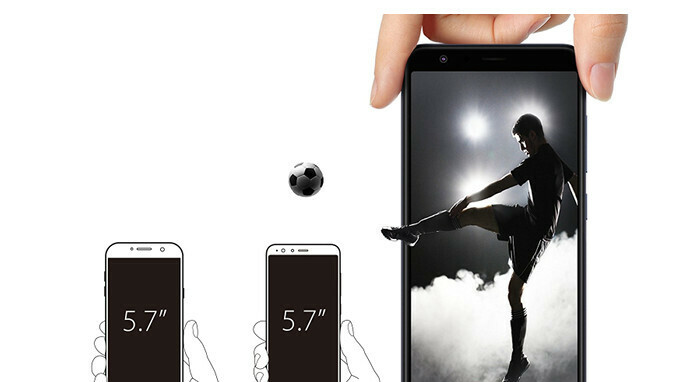 As expected, Asus introduced its mid-range ZenFone Max Plus M1 smartphone in the United States and judging by the retail price announced, this one should be a best-seller to say the least. The ZenFone Max Plus M1 is now available for purchase for just $229 via Asus Store, Amazon, B&H, Best Buy, Newegg and other major retailers in the country. For that amount, customers will get a smartphone equipped with a 1.5GHz octa-core MediaTek MT6750T processor, 3GB RAM and 32GB expandable storage. The large 5.7-inch display features FHD+ (2160 x 1080 pixels) resolution and 18:9 aspect ratio. The only downside could be the fact that it ships with an older version of Android (Nougat), so we can only hope Asus will provide those who buy it with an Android Oreo update at some point. Other highlights of the phone include a 16-megapixel rear-facing camera, a secondary 8-megapixel selfie camera, a rear-mounted fingerprint sensor, and a generous 4,130 mAh battery. Although Asus launched the ZenFone Max Plus M1 in three color options, the US version is only available in either Azure Silver or Deepsea Black. Aside from the front-facing camera, why would anyone but this over the Honor 7x or Moto X4? The Honor 7x has crazy lag especially in the camera app that I haven't seen on any phone. Even the old Galaxy S3 which I though launching camera wasn't so snappy is delivers a darn good experience in comparison. I'm not saying this Asus won't lag thou. Never had an Asus phone. And then the Moto X4 costs at least 50% more right now. Original price was $400. But yea, there are other options. For me I would feel safer getting a Moto G5 Plus 64gb for $220 thou Amazon. I've heard that they no longer have lock screen ads, and I've had a good experience with the G5s Plus and Z2 Force. Snap625, 4gb ram and 64gb storage makes a complete package for me. If this phone had a 64gb storage option, I would totally give it a try thou lol.